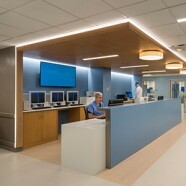 In the midst of a burgeoning academic medical corridor, the emergency department (ED) at Kaleida Health’s Buffalo General Medical Center was in need of expansion to meet growing demand, accommodate rapidly emerging technology and deliver advanced methods of care. 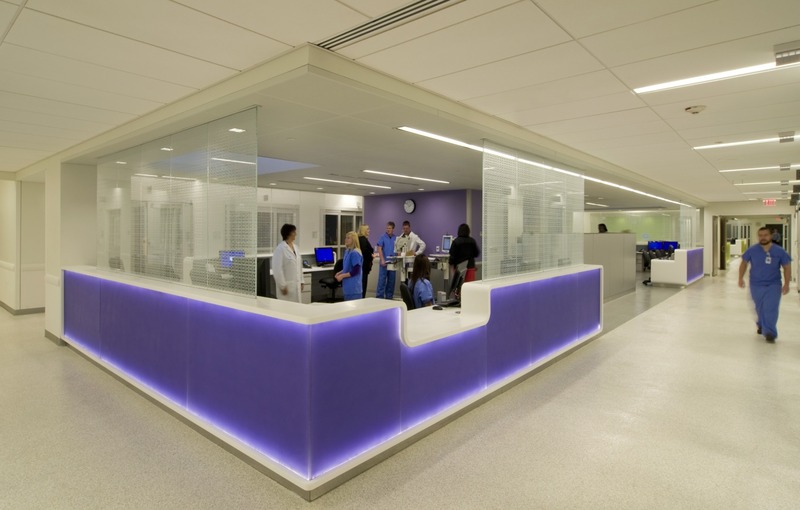 Kaleida Health, wanting to go beyond just expanding its ED treatment capacity, was seeking to establish the premier emergency care center for the Western New York region. 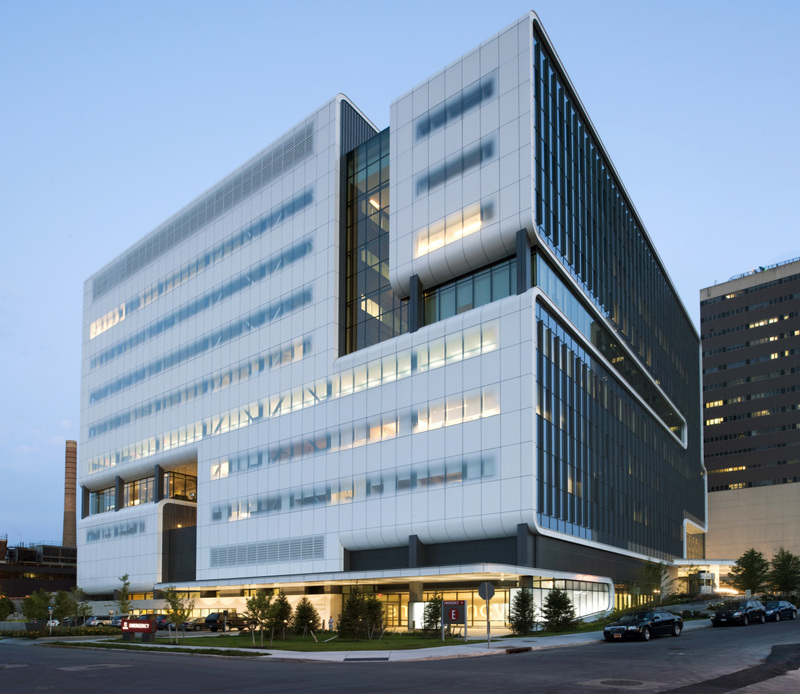 Housed within the Gates Vascular Institute and UB Clinical Research Center — the cornerstone of a new world-class health sciences campus focused on the regeneration of downtown Buffalo — the new, 53-bed ED is designed to accommodate up to 64,000 patients annually. 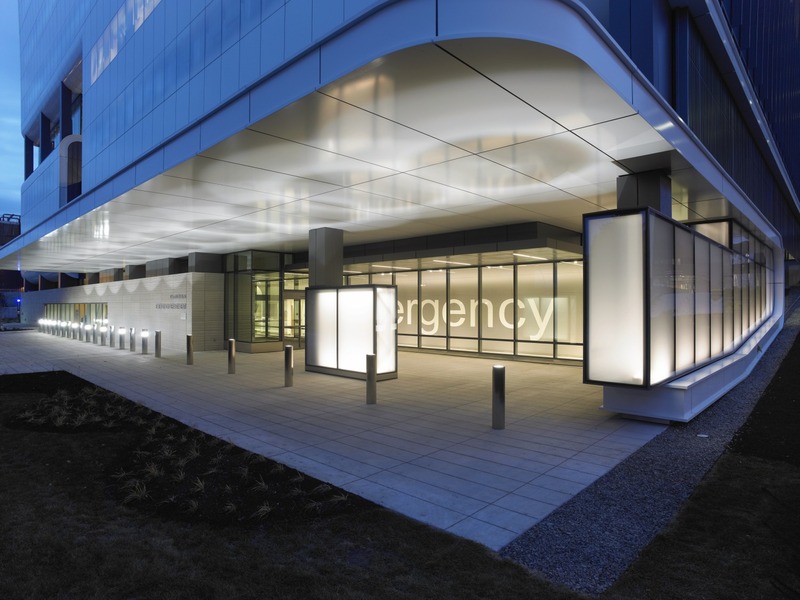 The new, highly visible emergency entrance creates a “front door” for the ED. 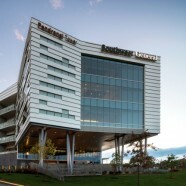 Located on a one-acre site, the Edward F. Walsh, Jr. 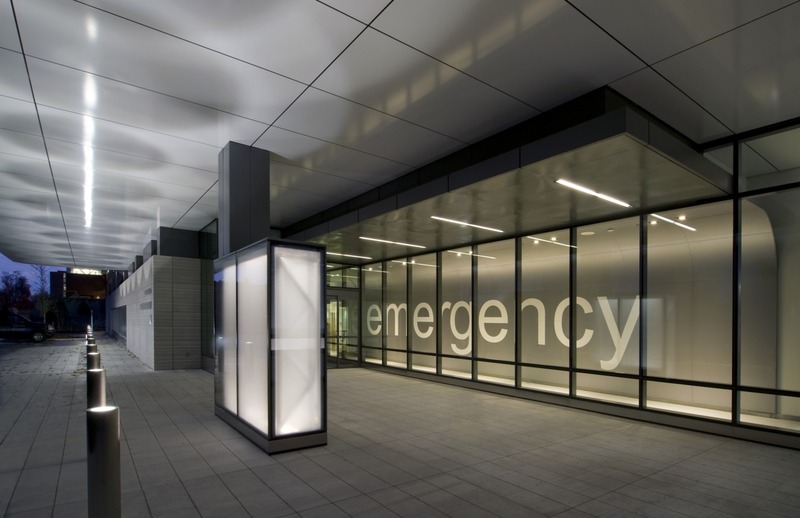 Emergency Medicine Department establishes an identity and creates a “front door” through the use of its distinct and easily accessible entrance. 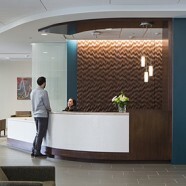 Placing emphasis on both the patient and family experience, the design team provided a positive first impression through the thoughtful use of daylight and a spacious waiting area. 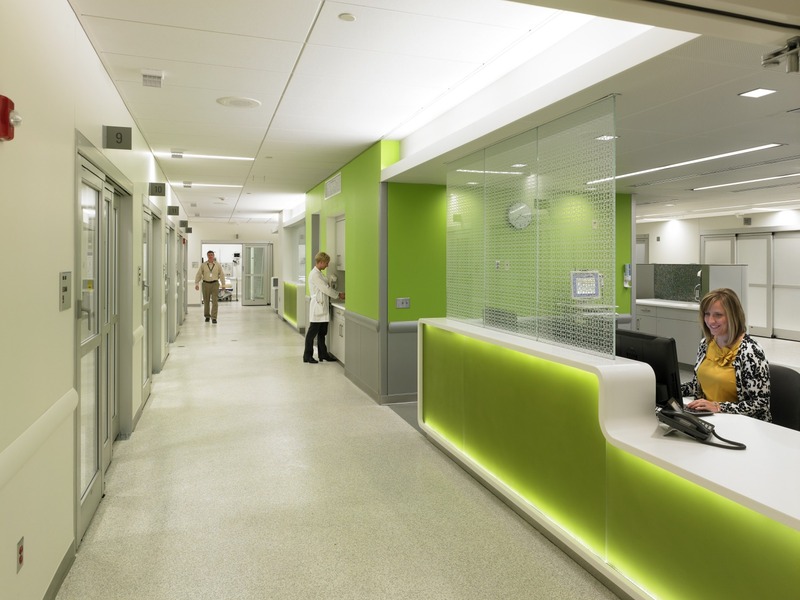 Dedicated space and two waiting rooms to accommodate emergency behavioral health patients are also incorporated into the ED. 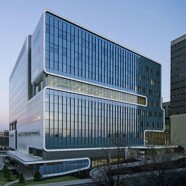 In addition to its adjacent location to a new imaging department, the ED was designed as a unique portal of entry to the specialized cardiovascular, cerebrovascular, and peripheral vascular emergency services within Gates Vascular Institute. 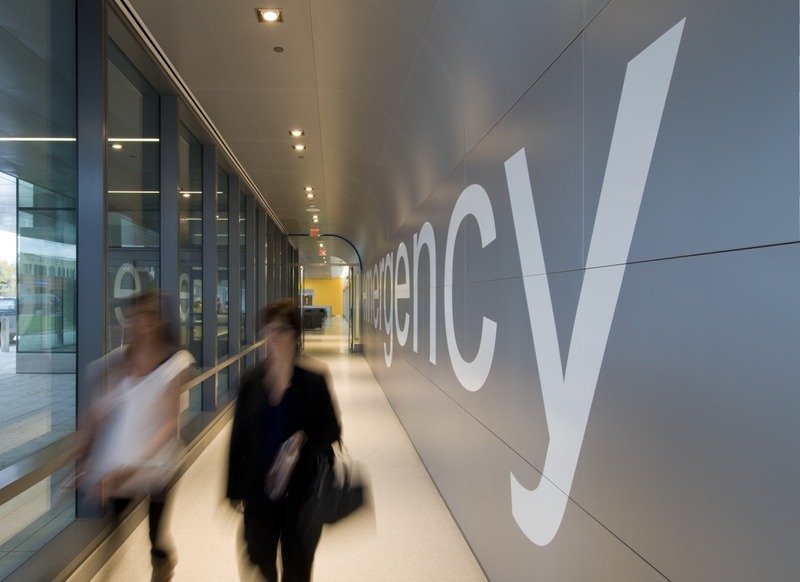 One of the underlying processes to improve speed and quality of care is the notion of “Rapid Care Protocol” (RCP), aimed at streamlining patients’ transition through the ED, bringing them to the appropriate care area in the shortest amount of time. Direct elevator access provides immediate vertical transport of patients into procedure labs and operating rooms, supporting speed of transport, especially when most critical. 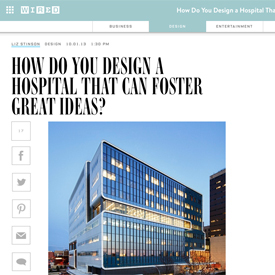 How Do You Design a Hospital that Can Foster Great Ideas?